A caring, professional team at Manukau Road. The experienced dental team at Manukau Road Dental has been putting smiles on the faces of local residents by providing high quality dental care. Principal dentist, Dr Mike Che and his partner, Dr Raymond Abel offer families affordable dental care in this modern clinic. Here we use the latest technology and can undertake all dental treatments from basic maintenance or checkups to fillings and root canal work. we also provide conventional and mini implants, wisdom tooth extraction, cosmetic dentistry, teeth whitening and a full range of dentures. Digital x-rays are clear, quick and produce much less radiation than traditional x-rays. 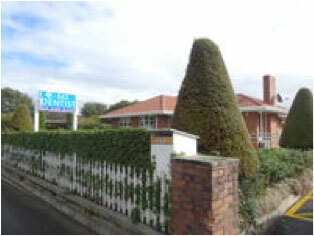 Mike is an Otago trained dentist with 24 years’ experience in New Zealand and overseas. He also owns Northcote Dental Centre on the Shore. Both Mike and Ray (who has 30 years experience in dentistry) attend regular courses to up skill and keep abreast of the latest advances in Orthodontic, cosmetic dentistry, implantology and other areas of dental surgery. Mike is also a graduate from American POS orthodontic education and can provide orthodontic treatment for children and adults including Invisalign – the clear alternative to braces – and traditional metal braces. The team ensures their clients receive the highest possible standards of dental care and aim to make every visit as pleasant and pain free as possible. Every patient is fully informed about their treatment options with quotes provided beforehand and staff work within your budget to achieve the beautiful smile you have always wanted.